No, this is not "me". This doll is tall, slender, and brunette.. Dolls go back a long way. I would guess as long as human history! We love to see things made in our own image, a reflection of us, a mirror. So, how were they made? And how are they made now? What kinds of dolls are there? 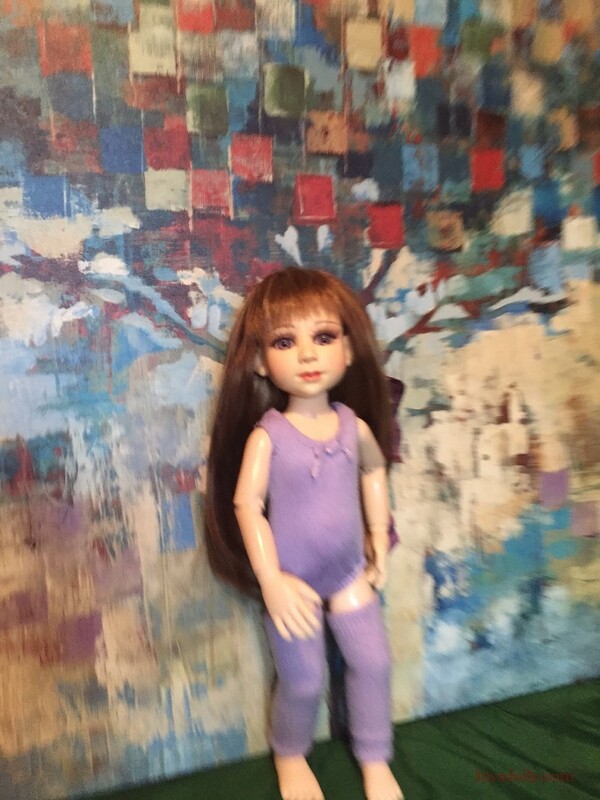 What dolls do you love? We all have doll stories. The dolls here in Dolltown gather together no matter who made them, when they were made, or how they got here. They play, talk, get up to mischief, care for each other, create adventures and go on trips. But it's nice to know a little background on each kind of doll. Info and photos added like a blog-most recent first. Scroll down for older additions! 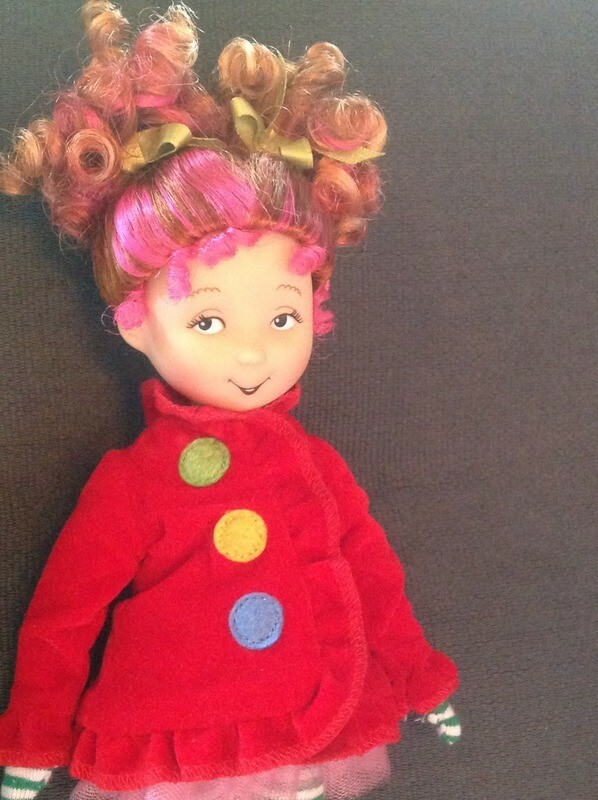 Sasha Dolls were created by Sasha Morgenthaler, a Swiss artist and dollmaker in the 1960's. Since then there have been several series of Sasha's, boys, girls, and babies. Straight from Wiki: Popular with collectors, Sasha dolls are characterized by their individualism, their realistic expressions, their unique color, and the extreme attention to detail in the manufacture of the dolls as well as their clothes. 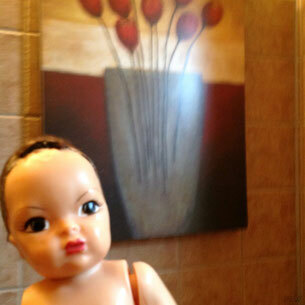 It is said by Juliette Peers that: "Sasha dolls are renowned for possessing a solid intellectuality." The Wiki description and the information from the Sasha Doll site, are really worth reading.! Very interesting story and comments! The Bratzillaz are produced by the company MGM Entertainment in 2012. They are a spin off of the popular line of Bratz dolls. 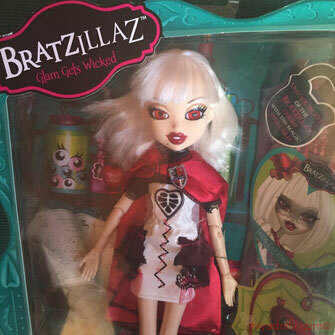 The Bratzillaz are marketed as witches with special powers that make each character unique. This is Bratzilla Jade J'Adore, acquired to compare to the other popular brand, Monster High dolls. This is a pretty doll with heart shaped pupils. She was introduced in the summer of 2012. Is it true that there were no more of these dolls produced after 2014? The Paola Reina Company, in Spain, creates a variety of models. This is a vinyl, vanilla scented, 13" Amigas. 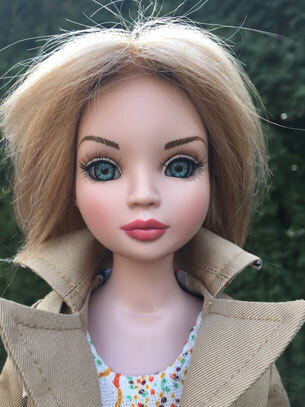 Kim Lasher is a very popular doll designer. Kim was formally trained as an illustrator and graphic designer, but discovered polymer clay and her doll making took off. She made Victorian and fairy dolls to begin with and could hardly keep up with the orders. 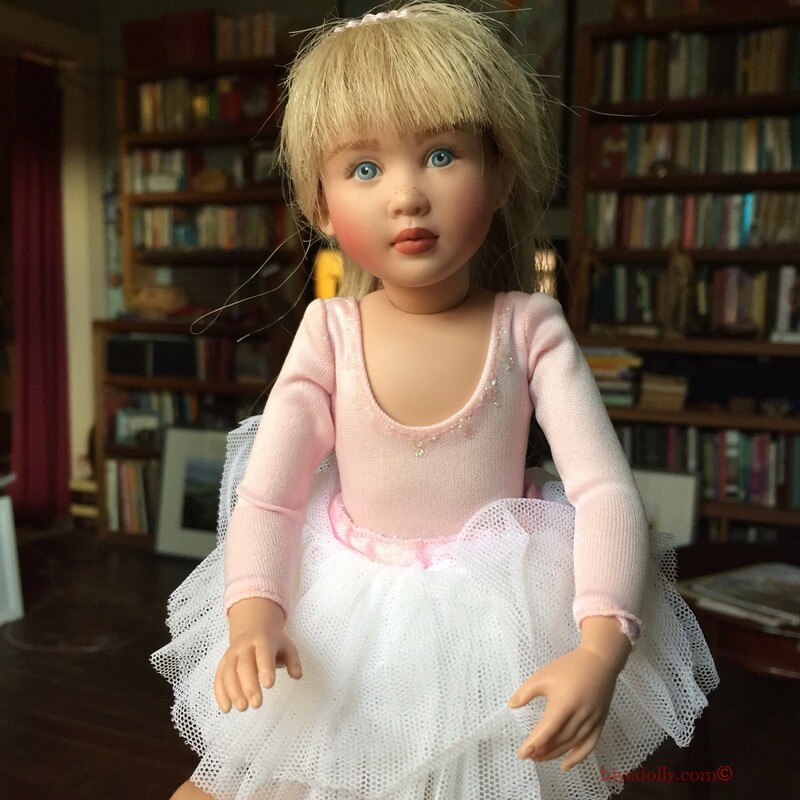 She turned to creating ball joint dolls and sees them as an art doll that can be posed, dressed and played with. 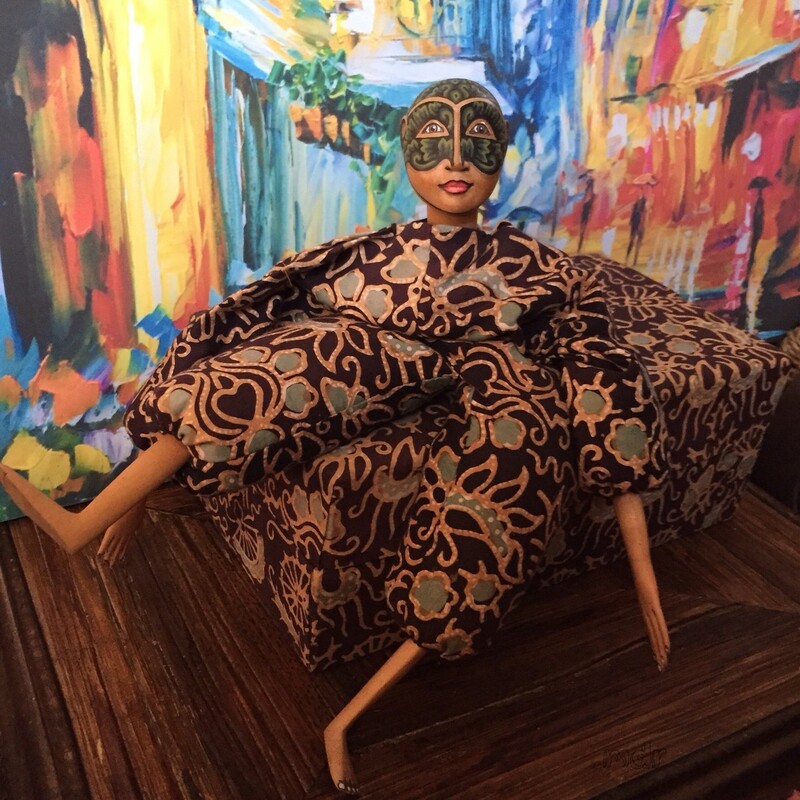 Miley here is a little different, being a sitting doll with a cloth body and vinyl head and limbs. She came with her own stool and cat. She has lovely flyaway hair. Sky is a good size for the Dolltown dolls, and sits in a chair. The other dolls are drawn to her...especially our Boneka. Made from polymer clay and beautiful fabrics. Sophia here stays in her frame except for special occasions. She is famous for her silver shoes. Everybody notices them. My fault I am sure, because she is very well made. Anyone seen a tiny, pale, digited piece of polymer clay? Tiny Shawl Dancer is another Dianna Effner sculpt, sold through Ashton Drake, or the Bradford Exchange, a producer and marketer of collectible goods. 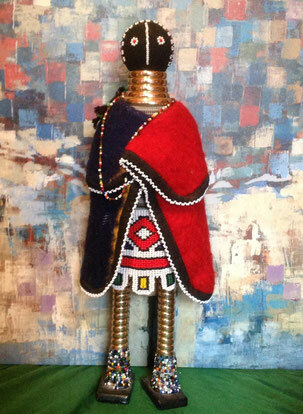 This vinyl ball joint doll with 11 points of articulation was the first First Nations doll by Dianna. She comes in a traditional dance outfit. She is 12", so a little smaller than a Little Darling. Ball joint dolls are made by a variety of companies and individuals. There is a wide range of quality and doll body structure. 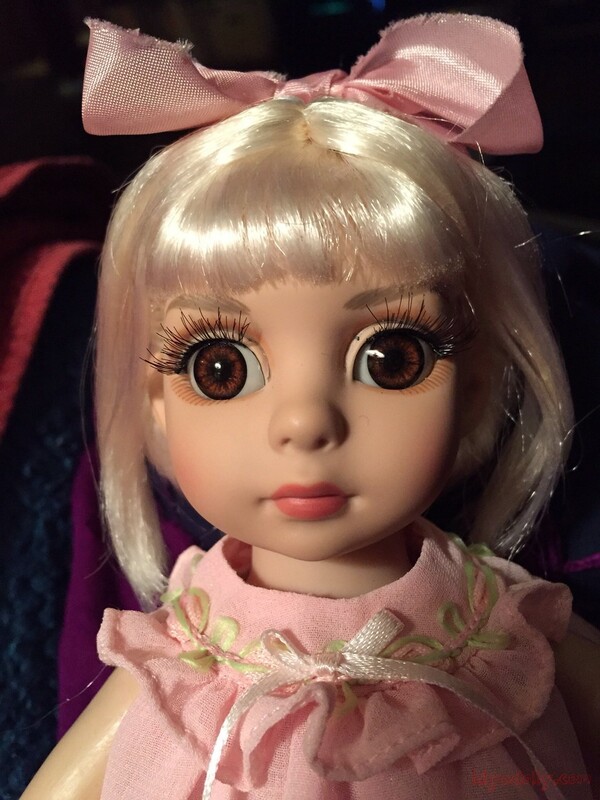 Ball joint dolls can be babies, children, teens, and adults. 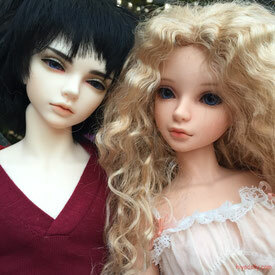 These two BJD's are from Iplehouse, a Korean company known for its good quality and beautiful dolls. The company has fun creating stories and costumes for special collections. Daniel and Tania, shown here, are from the basic selection and have options to choose from when they are pre-ordered, including "skin" color. 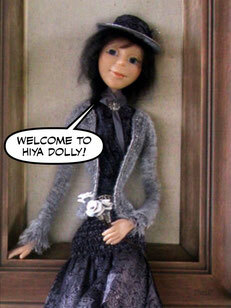 For more Iplehouse doll photos go to The Others page. Heidi Plusczok, a very well known German doll designer has been making porcelain and vinyl dolls since the 1980's. 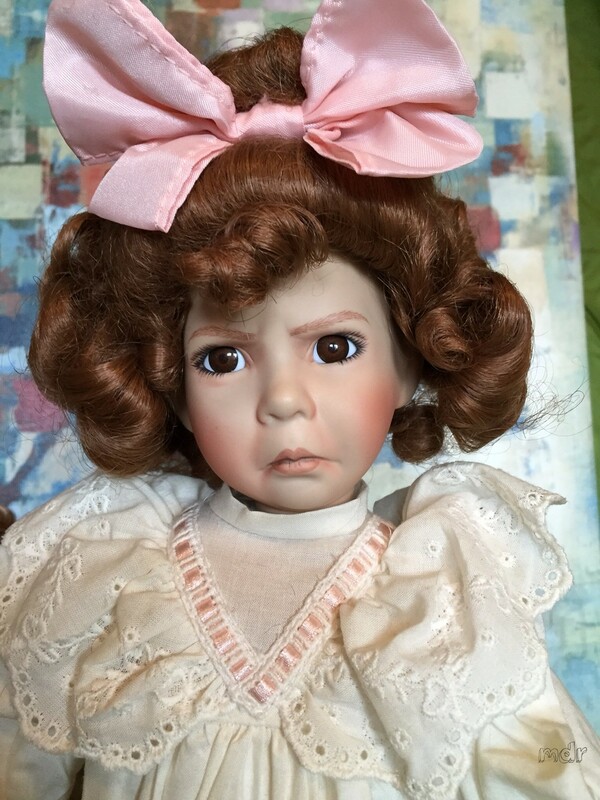 She loves to create faces with real expressions and is a favorite with doll collectors. 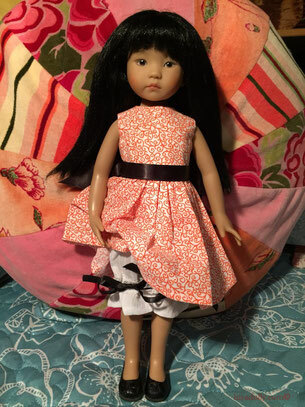 She works with Rosemarie Ionker on the beautiful clothes her dolls are attired in. 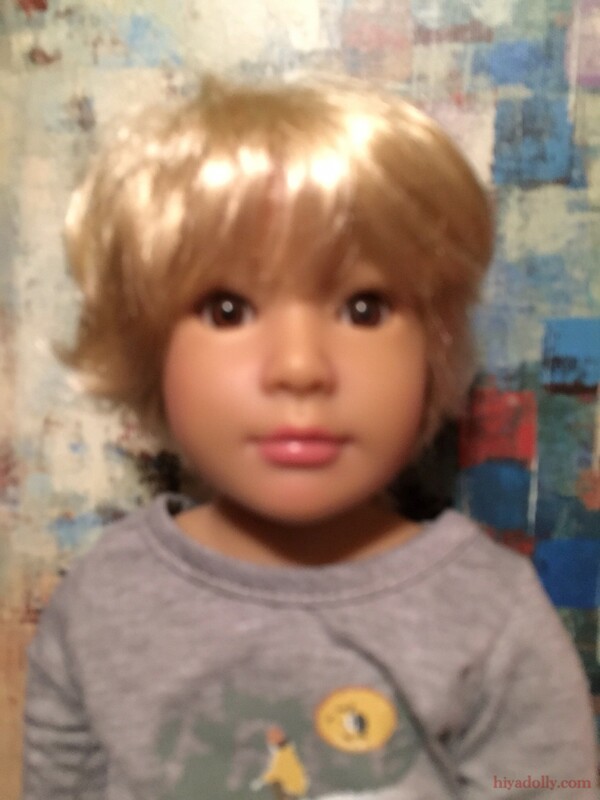 This is Linette, a 2013 10.5" lifelike doll, from a series of four. Her outfit is very cute. 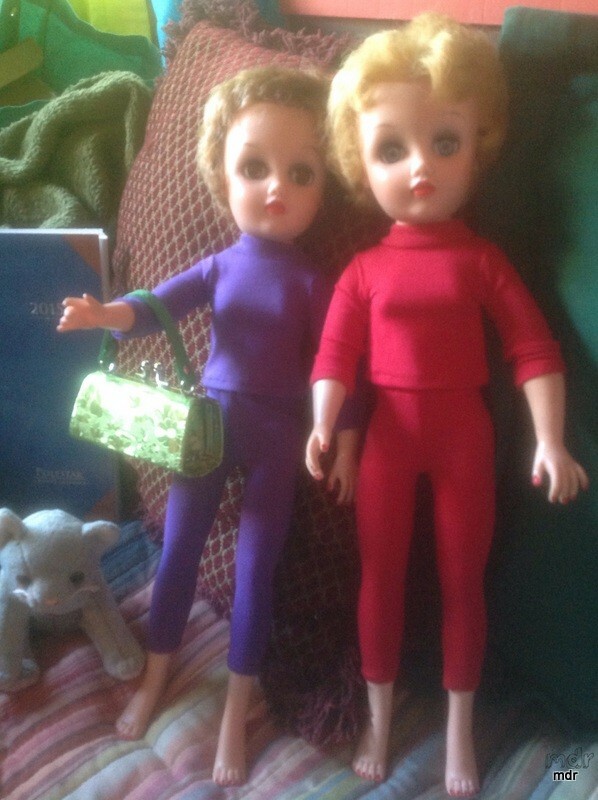 The Tomy Kimberly Dolls are from the mid 1980's. She represented a modern teenager and came with pretty and active clothes. She came with either a closed or an open smiling mouth. And as a blonde or African American. This girl's hair, although cute, was very rough and tangled, hard to manage. So she had a pixie cut and we popped on this silky wig. 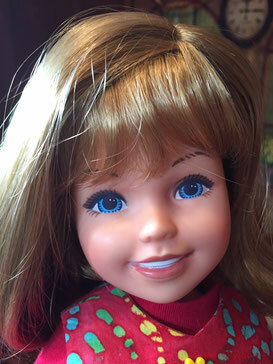 Crissy is an American fashion doll created by the Ideal Toy Corporation in 1968. She had a special feature of "growing" hair; by turning a knob on her back, Crissy could grow a long ponytail! Crissy had a little cousin, Velvet, and other friends over the years. Crissy clothes are usually from the 70's style, mini skirts and bell bottoms. This is a porcelain Dianna Effner McMemories sculpt, called You Deserve a Break Today, from 1995. He has a soft body and an appealing look. "You Deserve A Break Today" McDonald's porcelain doll features a hand crafted, hand painted porcelain doll designed by Dianna Effner, one of America's foremost doll artists. First ever authorized porcelain doll from McMemories, Official McDonald's Collector's Club. It is an adorable little boy w/the face, hand & feet crafted in fine porcelain & hand painted. He is wearing cozy blue sleeper cuddling a tiny cloth replica of Ronald McDonald doll. Created by Ashton-Drake Galleries, experts in dollmaking. This is an 18" Peter Parker doll, with several points of articulation. Berenguer babies come in many sizes, colors, and facial expressions. 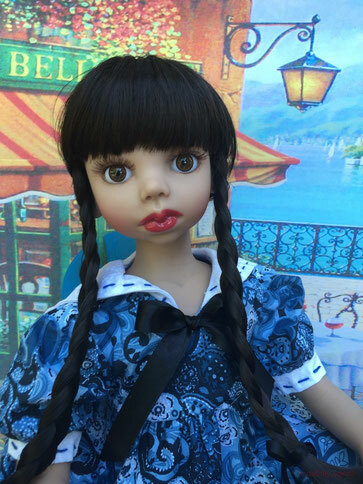 Award winning and lifelike, these Spanish made dolls have been pleasing baby doll lovers of all ages for over 50 years. This little vinyl Berenguer baby is a 5" bundle of joy. Betsy McCall Dolls started as a paper doll in the women's magazine, McCall's, in 1951. The next year Ideal made the first 14" doll which became very popular. Several sizes and versions have been made since. 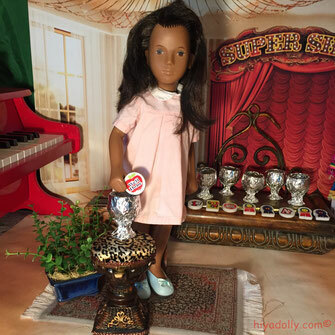 The Tonner Doll Company has been making these Betsy McCall dolls since 1990. Lots of good quailty doll clothes have been made for the variations. This is a 1996 brunette 14" size Betsy with her 1998 10.5" little friend, or sister, Linda McCall. 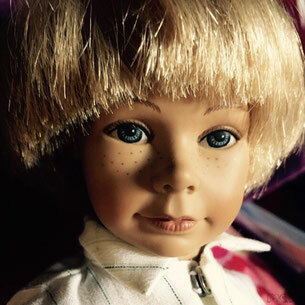 Berdine Creedy is a well known doll designer creating a variety of small series over the years. Several are bjd's with the ability to pose well. Berdine has a personal approach to the dolls she makes, so it is interesting to hear her stories. One set of 4 small dolls were styled after her grandchildren and their friends. This 2010 resin 10" balljointed dolly, Lollipop, is from the 2010 Dancing With Grace series of four little ballerinas. From Heart and Soul, a company established in 2000, the Kidz n Cats dolls are designed by Sonja Hartmann, a world renowned doll artist. She has been creating dolls for over 30 years. These dolls are 18" vinyl, with 11 points of articulation. There are several sculpts, both boys and girls. This is Jakob, easy to stand and pose. 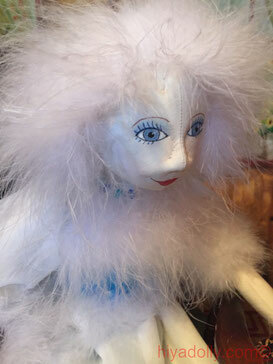 Beloved doll designer, Helen Kish, has created a variety of dolls in a variety of sizes, going back 30 years. 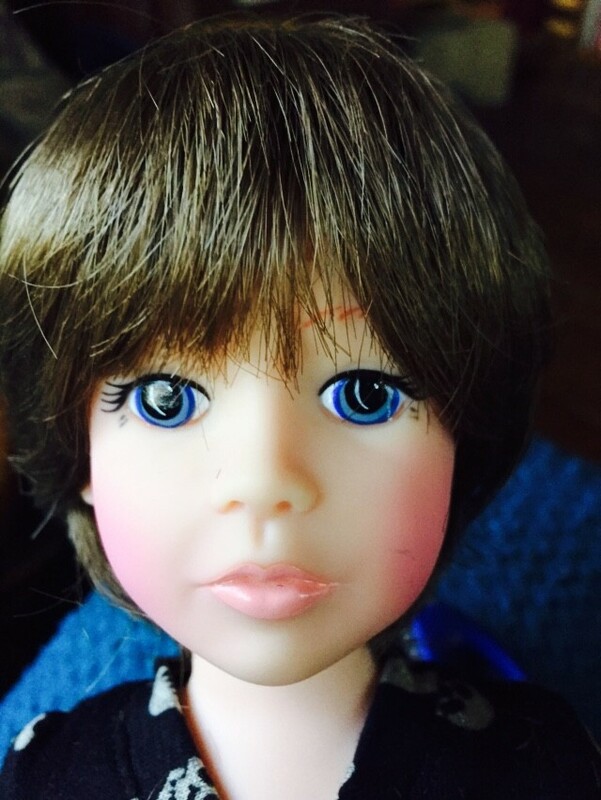 Helen tried out many materials for her dolls, from porcelain, clay, and bronze to the more recent vinyl. 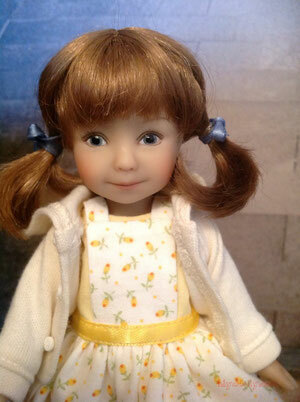 She sculpted over 100 dolls herself from the 70's to 80's under "Helen Kish Originals". She has freelance designed for several companies but in 1991, she began "Kish & Company". 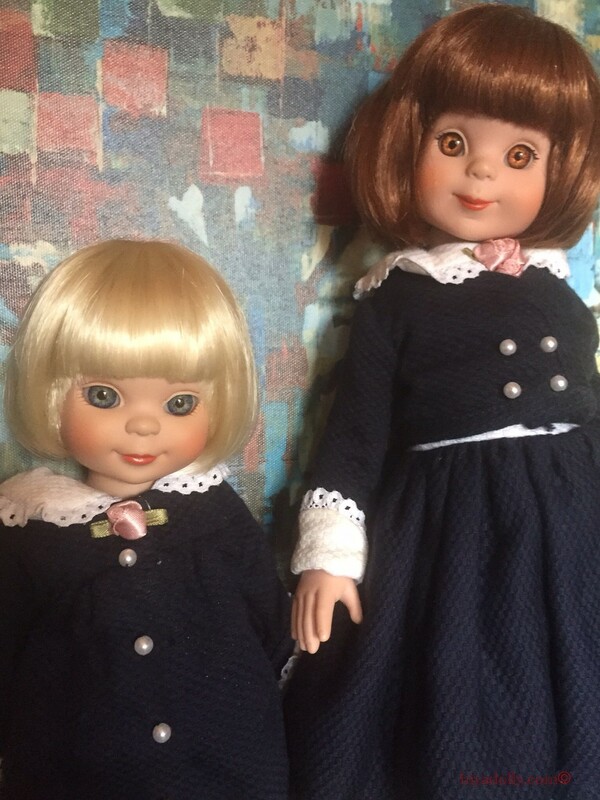 People who collect Helen Kish dolls are avid fans! This 10.5" Helen Kish Ballerina Lynne doll, from the 1996 Chrysalis Collection, is slender and graceful. 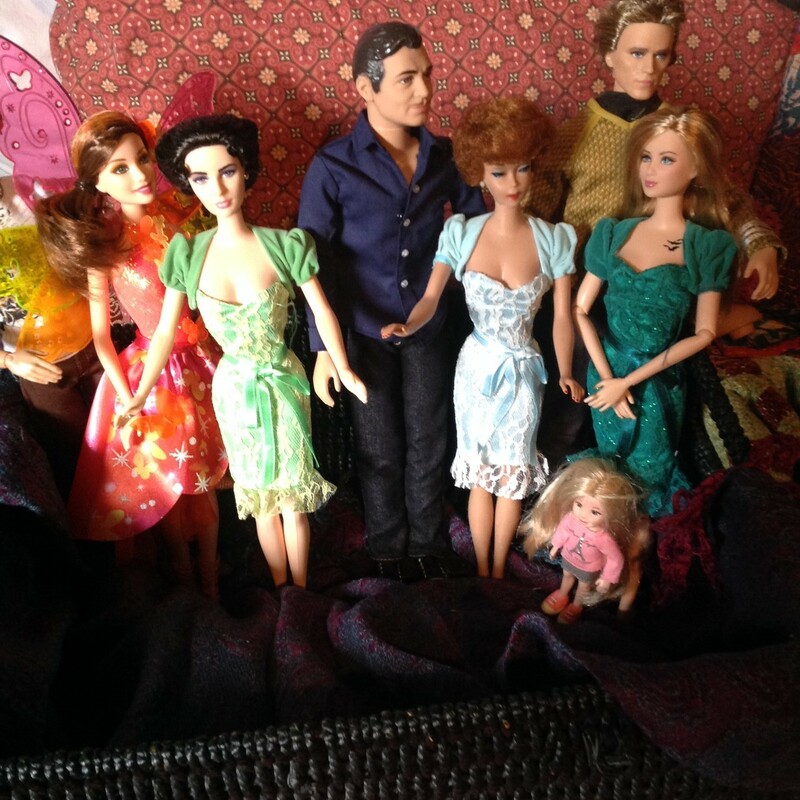 Robert Tonner designs LOTS of dolls. 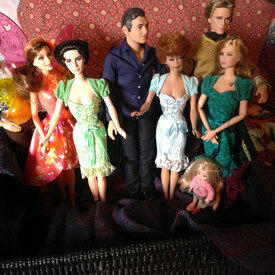 Interested in, and inspired by, fashion dolls from the 50's, Robert has grown a big company with a lot of popular dolls. 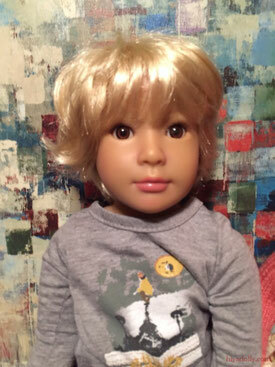 This is Tonner 22" American Model Glamour Basic Too, wearing a blonde wig in this photo. Marie Osmond! The performer and talk show host designed a variety of mostly porcelain dolls. 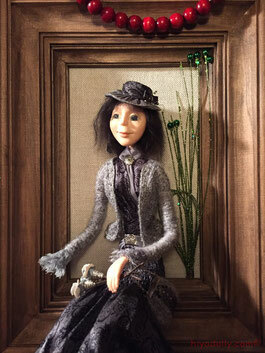 She sculpted some herself, and also hired other sculptors to create the dolls she designed. Her dolls are known for being very cute with fancy clothes. She stopped creating dolls in 2014 after 25 years! 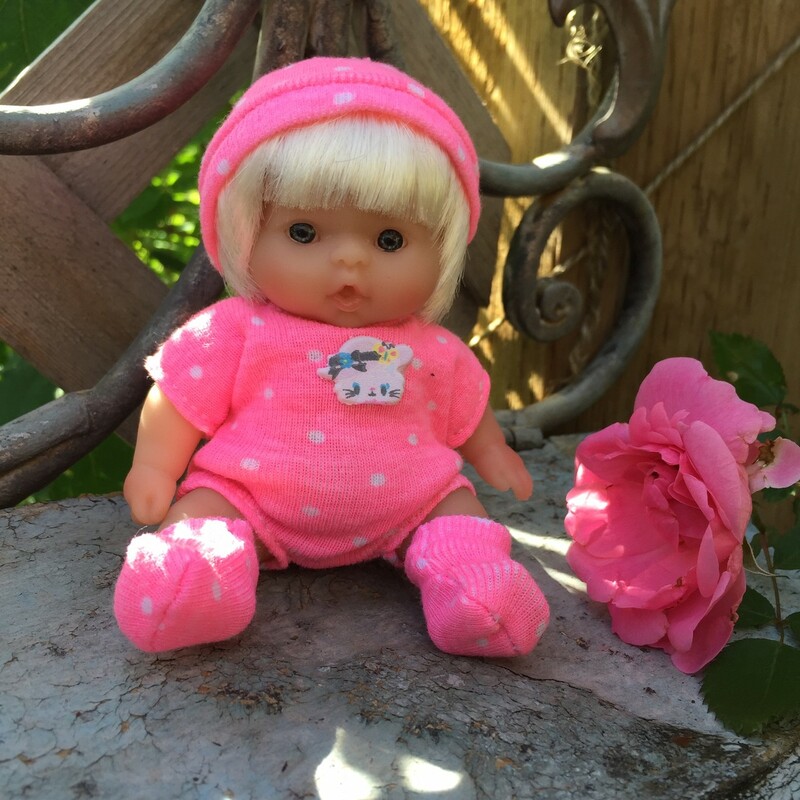 This Marie doll is a 6" porcelain baby called Rosebud. Heartstrings dolls are a sculpt of Dianna Effner, and the clothes for the dolls are made by Joanne Fulton. 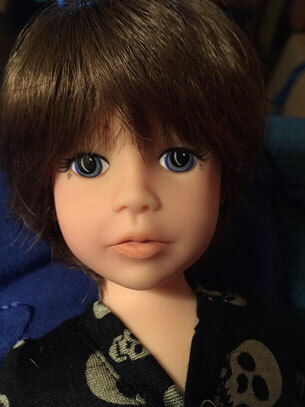 The 8" doll was first made in 2009, and is available on its own website with several versions of both girls and boys. Here is Beach Party Eva in a pretty dress and useful hoodie from the website. Chris Miller produced dolls in the 80's and 90's at least. I am looking for info.... There are several parts to this brand, like Robin Wood and Cottage Collectibles. Although limited in articulation, this doll moves well and has good balance. 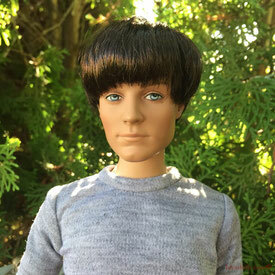 This is a Chris Miller "authentic" 14" vinyl doll. The Ellowyne dolls come in four different looking forms... -the Ellowyne sculpt shown here, and also the Lizette, the Amber, and the Prudence. Then different eye colors, hair, and clothes offer a wide range of looks from year to year. This makes it easy for Ellowyne fans and collectors to enjoy a variety and endless potential. The Ellowynes, collectively, come from Wilde Imagination, begun in 2006 I believe, a Tonner company. This Ellowyne is "Woefully Romantic" in a different wig and clothes. For more photos, go to the Start Ups or 4 Ellowyne sculpts page. Update Mar 17...Tonner is not making Ellowynes anymore. Very cute once you get used to her! Patsy's have been around for a long time, created back in 1928. She was very popular and there are many vintage Patsy dolls out there! Her clothes are well made and she has had a large wardrobe over the years. 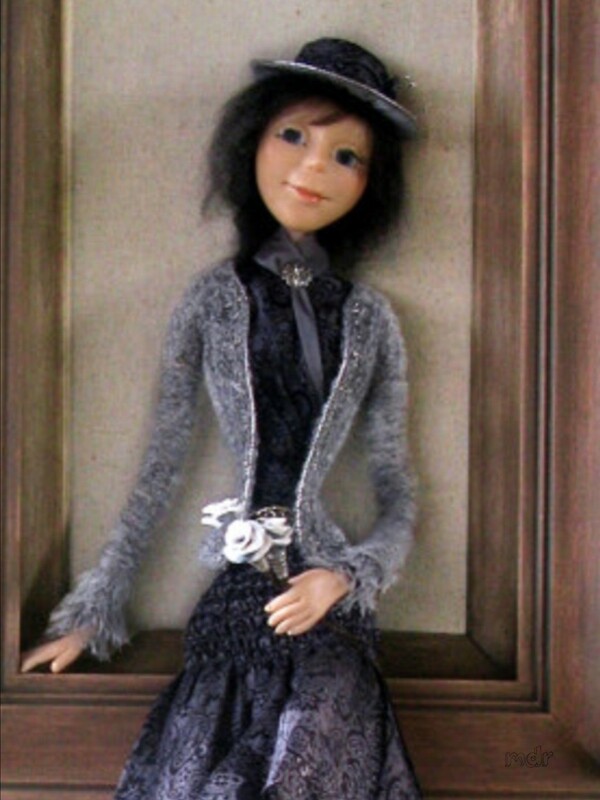 This Tonner Effanbee Patsy is Patsy's Dainty Dress Up from 2014, one of a limited edition of 500. She's one of the new version-with those big eyes that are so popular. She has 9 points of articulation, so she is easy to pose in active positions. The ones I have seen have cloth torsos, upper arms and legs, and vinyl appendages and head. One series, of four 18" girls, "The Faithful Friends" was sold at Target starting in 1996. There seems to be quite a variety of dolls, from 5" to 20", boys, girls, grown ups, babies...and the costumes are from from different cultures and times. I am still looking for info on Heidi Ott herself. I wish he could stand without a stand. 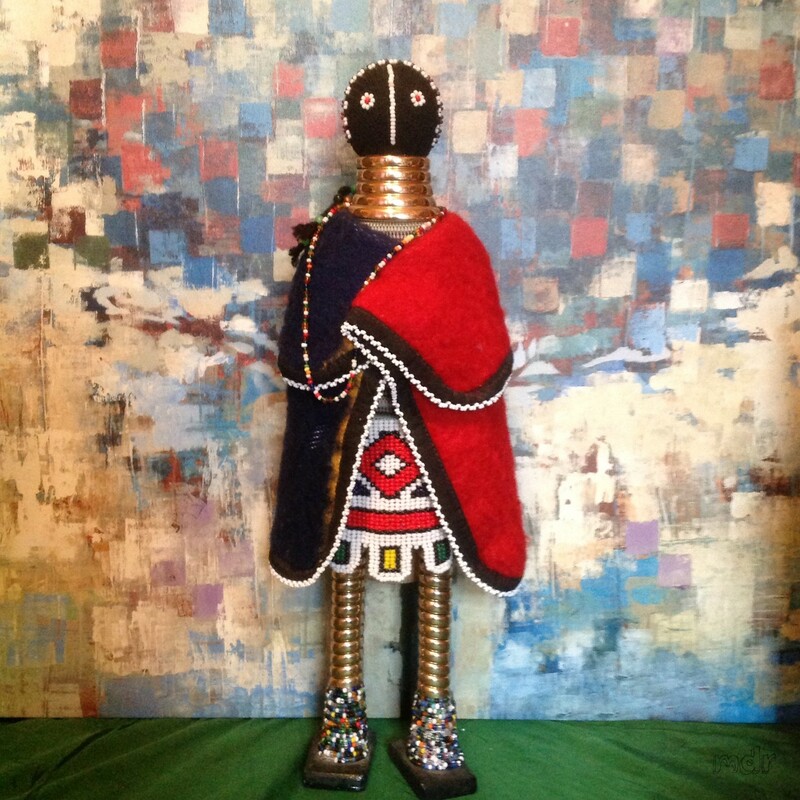 These handcrafted dolls are made with wood and cloth, intricately painted, filled with beads so they can be easily posed! 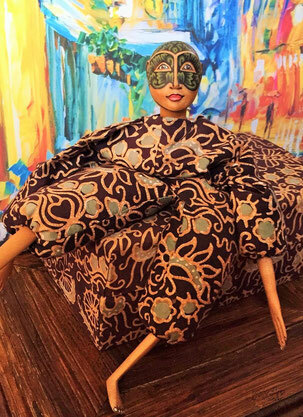 Their wardrobe cloth is Royal antique batik and matches a lovely cloth covered box the doll comes in. That's how this doll was described to potential collectors. Not too happy to be here? 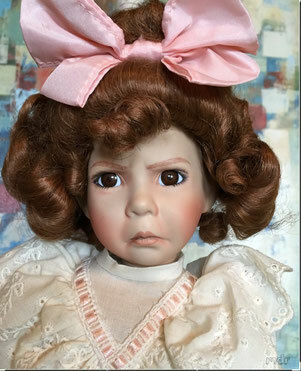 This lovely face belongs to a porcelain sculpt by Dianna Effner called "A Girl With a Curl". Dianna made two sculpts to go with a popular rhyme, one "good" and the other "horrid". 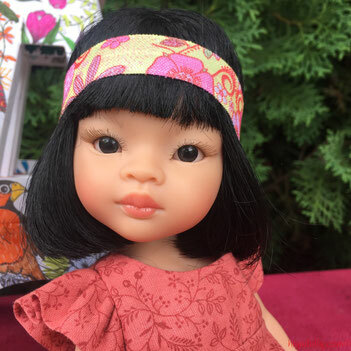 Dianna Effner designs vinyl Little Darlings for herself and a few others to handpaint, but she has also designed many dolls, in porcelain and other materials, and for other companies. 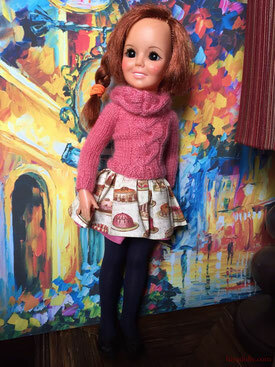 Many of her alternate designs and sculpts can be found at Ashton Drake, the Bradford Exchange, and sites like Boneka Dolls, UFDC, and Heartstrings Dolls. 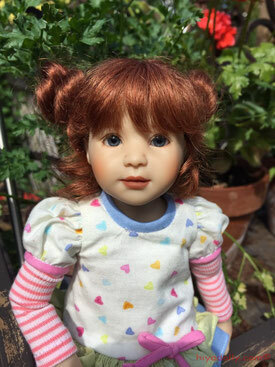 Dianna has created lots of very appealing dolls, including 3 child sculpts called "Little Darlings". A small number of talented artists, after learning from Dianna, handpaint the dolls in her style, and some accept pre-orders. However there is often a long wait. This dolly is called a Factory Paint. Although it is the Little Darling #2 sculpt, it was factory painted in China. 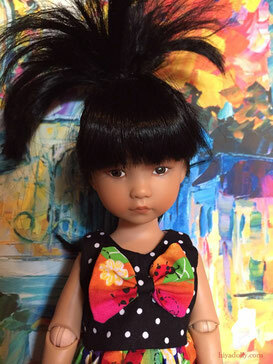 Ana is still available through the store at United Federation of Doll Collectors, UFDC. For more Little Darling photos and posts go to My Little Darlings page. So popular...many versions, sizes, and scales of the 11 princesses that are a part of the Disney Princess franchise (so far). These princesses are fictional female heroines who have appeared in Disney features. 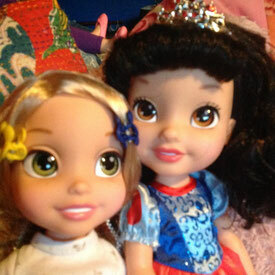 These are 14" Toddler princesses, Rapunzel and Snow White, with large painted eyes. 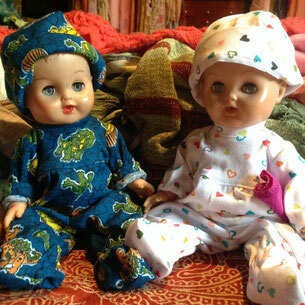 These two dolls have porcelain heads, arms and legs, and soft cloth bodies. Porcelain, or bisque dolls were made in the 1800's, especially in France and Germany. At that time, the dolls were used as toys. Nowadays, porcelain dolls are still made, but because of the durability and safety of more modern materials, these dolls are usually acquired by collectors. The little one is a sculpt called "Blossom" by Dianna Effner. Barbie has been through so many incarnations since those first dolls. Mattel Inc manufactured Barbie in 1959. Barbie's creation is credited to Ruth Handler, an American business women. The popularity of fashion dolls took off! Here are 4 Barbies from 4 era's, and 2 Barbie companions doing their best to look like men. 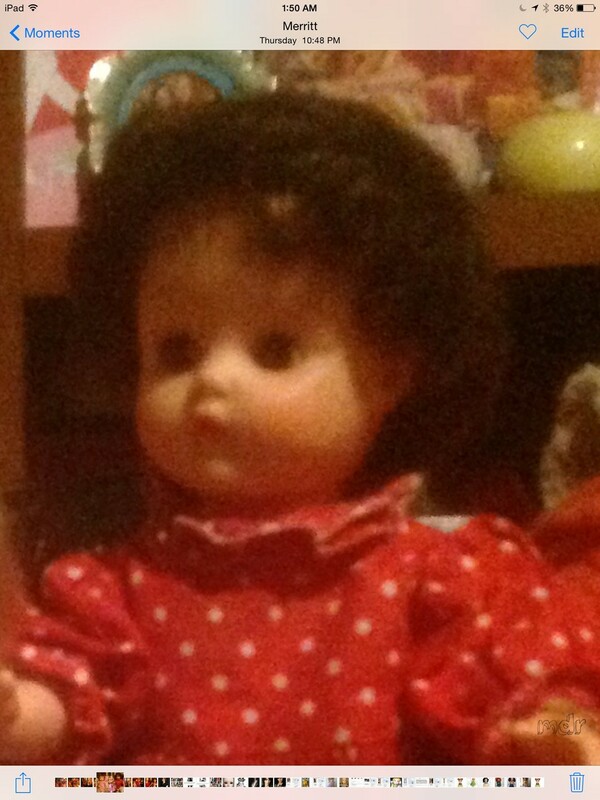 I discovered we had several Dee An Cee Dolls as children, all marked at the backs of their heads. I have not found images of this particular doll. She came to me later in my child life, so I used her to design and sew clothes for. She is tall, about 16", has a child body with a baby face. In scale, she was not easy to find friends for. Other dolls her size look too old for her, or too young. She hangs out with Terri Lee and friends. Marked on the backs of their heads with the Dee an Cee name, these babies were "drink and wet dolls" from the fifties. Made to withstand the constant pouring of water into their mouths from tiny baby bottles, they created the fiction of having a real baby for a child. With sleep eyes, and a cheerful expression, these dollies were a favorite. I believe these dolls, from the fifties also, are Canadian Dee an Cee dolls, the Cindy model. I have done my best to match them to Google search images and site info. Here's a good match at Vintage Doll Collector. I think these two arrived in nurse uniforms...I found no other outfits for them. If anyone knows more about the nurse version, please contact me! The Dee an Cee company made dolls from well known US companies like Mattel, as well as producing their own dolls. After making some rubber dolls in the 40's, they switched to vinyl in 1949. 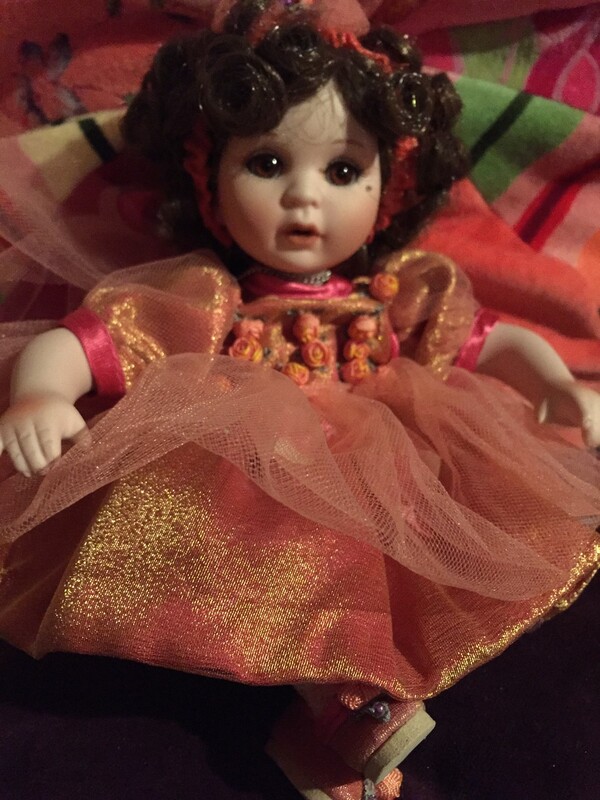 "Dee an Cee was a Canadian doll manufacturer from 1938 to 1964. The name was derived from the first letters of the last names of the two founders, Max Diamond and Morris Cone. The company motto was "Quality above all". I can attest to the quality! 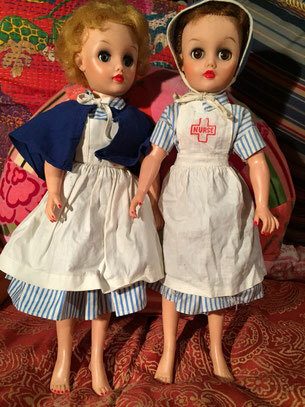 These two nurse dolls have lasted very well, with lots of use. Their coloring is still exceptional. The dolls are not easy to use in photo stories because their heads won't tilt to look at other dolls but otherwise they photograph well! These interestingly shaped dolls were very popular and several versions have been made over the years. In 1997, members of the original company founders formed Terri Lee Associates and began making Terri Lee dolls again, reproducing some of the original favorites and also creating new products. Check Doll Reference for more info! Fancy Nancy is a favorite with the children I know. With me too! 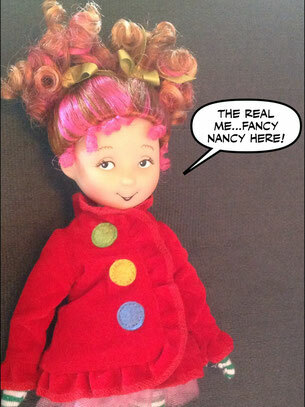 The Fancy Nancy character loves fancy words and clothes. Hard to resist a girl who is immersed in imagination, uses phrases like Ooh La La!, and does her best to involve all those around her in adventure and embellishment! 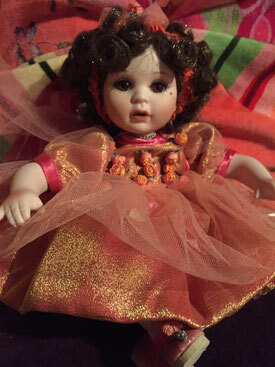 This 8" Fancy Nancy is a Madame Alexander, a doll designer extraordinaire. 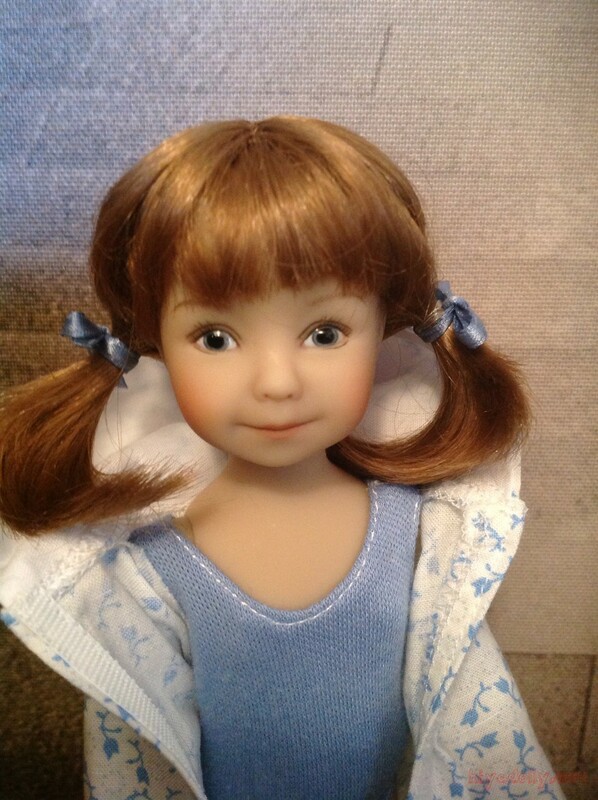 She has designed many kinds and sizes of dolls, many series, many world dolls. I want to use "Fancy Nancy" for stories, treat her character with the respect it deserves, but will change her name if I need to... This little doll of mine, whatever she is called here, will keep her kind, inclusive, and fun-loving nature.